We have just received a report from Dr. Sam Chilopora who manages the LifeNets Orphan Care Centre outside Balaka, Malawi. 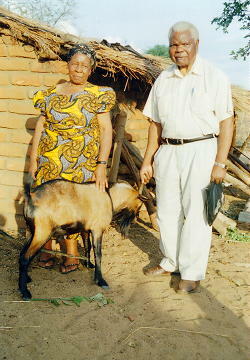 Since 2010 we have been providing goats to help the orphans with milk. 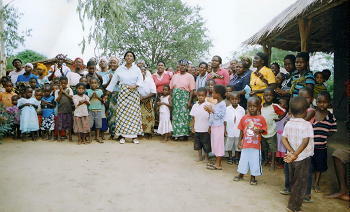 We thank concerned ladies in New Jersey and New York who have held fundraisers from 2008-2010 to help Dr. Chilopora. 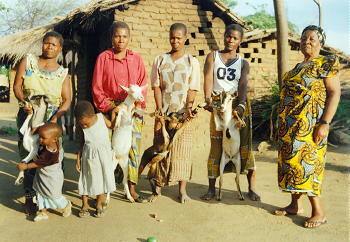 We had difficulty with the first goats we provided as hardly any of the baby goats survived. After working with veterinarians, we have had greater success. In his report, Dr. Sam Chilopora sent us an accounting of maize, rice, beans, ground nuts, soybeans, washing soap, salt and fertilizer purchased that amounted to $4375. 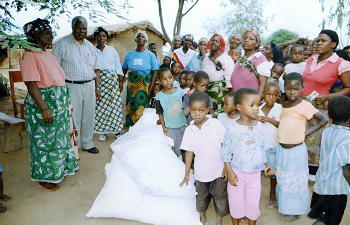 This relieved suffering by feeding orphans. 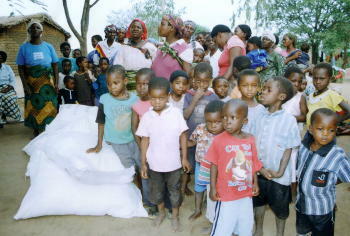 150 people were benefited and this has all improved the health status of the orphans. 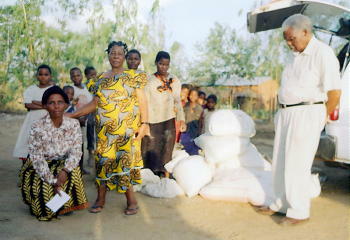 Mosquito nets also prevented malarial deaths. The milk from goats has developed healthy looks on the orphans! Thank you, Dr. and Mrs. Chilopora for your stewardship of our LifeNets contributions for this project! The main purpose of this letter is to extend our gratitude. I, the Chief, together with my people living in Chapita Village in the district of Balaka, are very happy because of the support to develop our livelihoods. 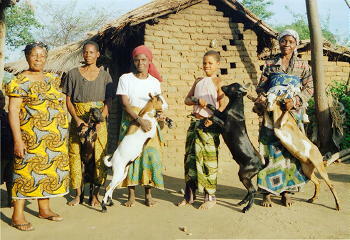 Thank you so much for the help of the goats you provided us. 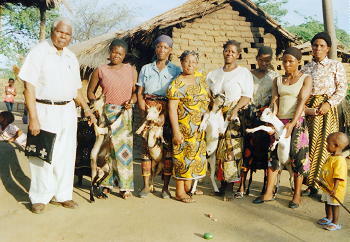 The goats have started reproducing and many in the village have benefited. About 14 people have received the goats. The little orphans are getting porridge, the porridge is cooked in milk from the goats and this has improved the heath status of the orphans. 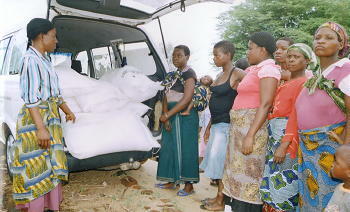 Many thanks also for the help of fertilizer we have received. 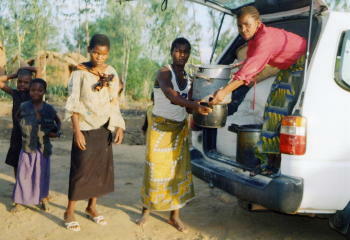 The fertilizer will help more people to harvest more crops. Finally, we request for further more projects that you might consider us, the people of this village of Chapita.